Montpellier BS : Avis, Formations et Informations ! En dépit de quelques Points futiles (car ce qui compte en écoles de commerce c'est le piston et l'expérience à ma sortie hein)Ce fût un des meilleurs moments de ma vie sur tout les plans. Accrédité AACSB et EFMD-EPAS, le programme Grande Ecole de Montpellier Business School délivre un diplôme visé avec le Grade de Master. Il est régulièrement classé dans le top 50 mondial et le top 15 français. Etablissement à taille humaine composé de professeurs et d’étudiants venus des quatre coins du monde, Montpellier Business School et son Programme Grande École se différencient par leur capacité à défendre des valeurs fortes et humanistes conjuguées à un système d’enseignement basé sur l’excellence académique. Notre ambition s’appuie sur la conviction que les méthodes innovantes et les chemins différents en matière de formation et d’enseignement sont indispensables au progrès de notre société. L’Executive MBA de Montpellier Business School est un programme généraliste, conçu selon une logique de personnalisation. Il se construit autour des participantes et participants, pour les accompagner de manière individualisée dans la réalisation de leurs objectifs professionnels. Cette approche permet à chacune et chacun d’aborder selon ses souhaits la construction des prochaines étapes de sa vie. Positionné sur l'Innovation managériale, l'Executive MBA forme des managers, forts de leur diversité, innovants et entreprenants, soucieux de réaliser leurs activités professionnelles avec une préoccupation permanente de responsabilité et de performances globales. Il peut se faire en 2 ans pour les professionnels en activité très dense ou en 9 mois pour se consacrer pleinement à son projet professionnel et à sa formation. 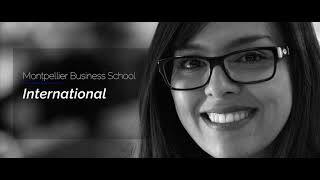 The MSc in Digital Management is one of Montpellier Business school’s programmes in which you can foster your professional skills and find a way to stand out from the crowd. It provides the specialist tools and techniques to increase your strengths on the international arena. It is a unique program that gives an opportunity to the students to understand the impact of digital on leadership and organisation, master new models of creating and distributing value and agile methods of project management and performance. The modules include digital strategy, applied big data (a one-week case on company data), agile project management (expecting delivering, dates and estimated budget), change management, digitisation of business processes and web marketing. Throughout the year, students will also foster the “entrepreneurial spirit” alongside with the open-innovation techniques adapted to large groups to spread the “start-up” spirit. France has developed excellence centers widely recognized around powerful actors in the marketing, luxury and fashion industries. One of the key driver for this continuous success has been the ability to build an efficient marketing of excellence through advanced techniques and methods. Our Msc allows graduate to better understand and master this unique savoir-faire, the so-called French Excellence, which attracts corporations around the globe looking for talented young managers. Our graduate will be equipped with a strong sense of innovation, a creative mindset coupled with hands on knowledge of luxury products. This will allow our graduate to shine in contributing to the creation and launch of high quality and original products or services, and then in their efficient branding, marketing and selling. Our MSc in French Excellence and Luxury is a 10-month program preparing students for an international management career in the industry of luxury, fashion and excellence. It offers students a true multi-cultural and international experience in our campus based in Montpellier, South of France. Students will develop their general management skills and explore the different way to transpose these knowledge and expertise to the luxury, fashion and excellence industry. They will discover the inner functioning and specificities of luxury markets, the new trends, the design and organization of the main actors. Business projects throughout the year will pace the academic experience and give students the opportunity to gain valuable work and real-life experience. Various company visits will be organized including a 1 week trip to Paris, luxury shops and fabrics visits, fashion events… Students will have the chance to participate in different seminars, workshops and meeting, where companies come to our campus to meet their future managers and high-quality interns. Our career center and alumni network are also providing students with a full range of workshops and tools to enhance their career. Fintech (i.e Financial Technology) is strongly taking over the finance industry (+75% annual growth, more than 50bn USD annual investments in the sector). Blockchains and digital approaches are revolutions across an increasingly wider range of sectors. Digital money and cryptocurrencies (including bitcoins) are changing the way money and networks are though, organized and valued. Fintech combines the technology from big data and analytics, mobile computing and modern financial services. Some of the activity in the sector is being carried out by the large, existing financial institutions, but the majority comes from small companies who are developing disruptive technologies. To address the challenges, our Msc provides with a rare opportunity by bridging relevant and non-overly technical aspects of computer science, economics, banking, finance and law. It benefits from both relevant and applied theoretical and practical contributions, facilitated by both seasoned professionals and internationally recognized academics.combines the technology from big data and analytics, mobile computing and modern financial services. Some of the activity in the sector is being carried out by the large, existing financial institutions, but the majority comes from small companies who are developing disruptive technologies. Our Msc is opened to all students and do not require prior general or technical knowledge related to FinTech, blockchain or cryptocurrencies. The goal of the program is to allow students of various background (general management, engineers, economists, social sciences,…) to position themselves for a wide range of careers in banking without aiming to produce technical specialists but rather well informed, agile, disruptive and efficient young graduates.Fintech is taking over the banking and finance industry. The way we handle money is changing and the whole industry is taking note – from international banks to back room start-upsFintech is taking over the banking and finance industry. The way we handle money is changing and the whole industry is taking note – from international banks to back room start-upsFintech is taking over the banking and finance industry. The way we handle money is changing and the whole industry is taking note – from international banks to back room start-ups. To do well in fintech, you need to understand technology, finance and business creation.Fintech is taking over the banking and finance industry. The way we handle money is changing and the whole industry is taking note – from international banks to back room start-ups. To do well in fintech, you need to understand technology, finance and business creation. The MSc in Marketing is one of Montpellier Business school’s programmes in which you can foster your professional skills and find a way to stand out from the crowd. It provides the specialist tools and techniques to increase your strengths on the international arena. Montpellier is the most seductive, elegant and cultured town in the South of France. It attracts more than 5 million tourist each year. 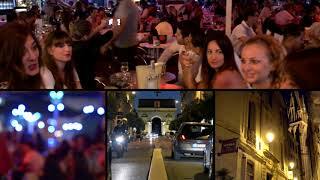 Quite naturally, Montpellier has developed a complex and diverse ecosystem in the industry of tourism and hospitality. Our MSc in Tourism and Hospitality Management is a 10-month program preparing students for an international management career in the industry of Tourism and Hospitality. It offers students a true multi-cultural and international experience in our campus based in Montpellier, South of France. Students will develop their general management skills and explore the different way to transpose these knowledge and expertise to the tourism and hospitality industry. They will discover the inner functioning and specificities of tourism and hospitality markets, the new trends, the design and organization of the main actors. The curriculum put a special focus on the digital transformation of the industry and on the importance of a multi-cultural approach. Business projects, fields trips and visits throughout the year will pace the academic experience and give students the opportunity to gain valuable work and real-life experience. Various company visits will be organized. Students will have the chance to participate in different seminars, workshops and meeting, where companies come to our campus to meet their future managers and high-quality interns. Our career center and alumni network are also providing students with a full range of workshops and tools to enhance their career. La stratégie de l’institution est « d’être une grande école européenne de management de la Région Occitanie, reconnue internationalement pour les valeurs qu’elle promeut, l’excellence académique en matière d’innovation managériale et d’entrepreneuriatqui l’anime et la préoccupation de responsabilité et de performance globales qui caractérise ses fonctionnements, ses parties prenantes et ses résultats ». Montpellier Business School s’associe avec Montpellier SupAgro !